330mm x 100mm x 710mm (tall). 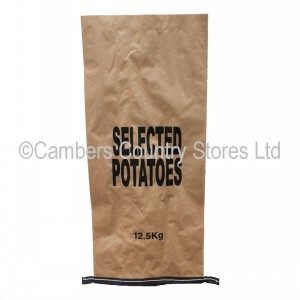 We can get potato bags of all sizes with your details printed on them. Please call if you require this service.